Every so often, a manufacturer shakes up the names it uses for its vehicle models without changing the models themselves that much. Obviously, this shake-up can lead to a bit of confusion but let us clear up one such rechristening. The Hyundai Santa Fe of 2018 is now called the Hyundai Santa Fe XL. In tandem, the Santa Fe Sport of 2018 is now simply known as the Santa Fe. In this preview guide, we'll explain what other changes are coming down the track for this time-tested, renamed model. The easiest way to discern between the 2019 Hyundai Santa Fe XL and the 2019 Hyundai Santa Fe at a glance is the difference in length. The Santa Fe XL is longer and fits a third row of seating into the cabin. That means the XL seats six or seven instead of the typical five seats of most sport utility vehicles. Consumers rejoice! The 2019 Hyundai Santa Fe XL is the exact same price as its 2018 Hyundai Santa Fe predecessor--at every trim level. That's pretty rare in the automotive industry. That being said, a lot of the trim levels have been phased out because the old two-row Sport trims now belong to a different model. That means the Santa Fe XL now has two trim levels. The Santa Fe XL SE starts at $30,850 while the the Santa Fe XL Limited starts at $39,500. Front-wheel drive comes standard or you can get all-wheel drive for $1750 on either trim level. One of the best things about the Santa Fe XL is all the tech that comes standard for the price. At the SE trim, the engine carries over unchanged. The engine is a 290-horsepower 3.3-liter V6, paired with a six-speed automatic. Standard features include LED running lights, cloth seats, dual-zone automatic climate control and 7-inch touchscreen infotainment system with Apple CarPlay and Android Auto. The heftiest upgrade at this level is the SE Premium Package for $3,650 that adds blind-spot monitoring, keyless entry, power front passenger seat, leather seats and third-row USB outlet. The SE trim seats seven. The Limited trim drops the seating to six due to the second row bench being swapped out for captain's chairs. The Limited comes standard with everything the SE give you, plus LED taillights, panoramic sunroof, rear parking sensors and 8-inch infotainment system with navigation. There's also ventilated front seats, heated steering wheel and surround-view camera system. Add safety tech with the $2,100 Tech package, which includes automatic braking, lane-departure warning, adaptive cruise control and automatic high beams. Another great feature of the Hyundai Santa Fe XL is the warranty, which covers you should your SUV break down from normal use. Hyundai is pretty generous with a powertrain warranty that lasts 10 years or 100,000 miles. This warranty, paired with an above-average JD Power and Associates reliability rating, should give you plenty of peace of mind. 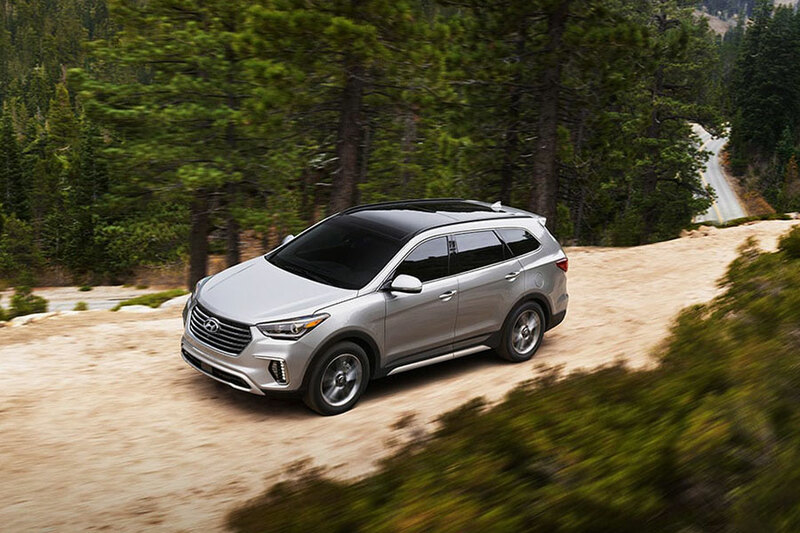 If you're looking for an SUV that will seat many and offer you more options for the price, the answer is the 2019 Hyundai Santa Fe XL.